"The Divisions of Labor" is a durational performance referencing images of labor from the Caribbean, with approximately eight individual actions, such as sewing and cane cutting. 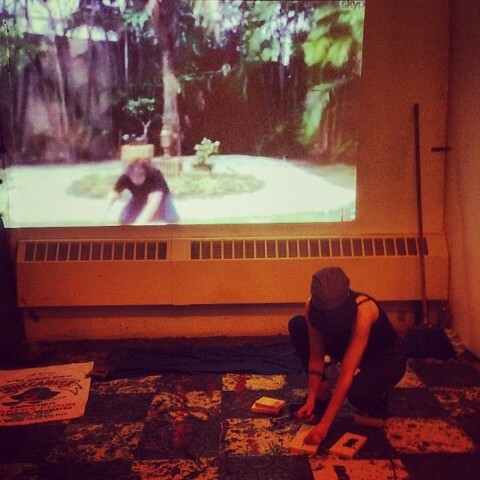 Rivera Toro (projected live from Puerto Rico) and Vázquez Rodríguez simultaneously performed, exploring varying levels of exertions while tackling gender role reversals. The approach taken by the performers and the preconceived notions of the audience brought reflection on gender politics and how they play a part in these divisions of labor for the Caribbean historically and today.